The city of Helsinki has been running a zero-tolerance project for graffiti since 1998. ‘Stop Töhryille’ (Stop the Scribble) was a campaign targeted against any kind of visual or textual intervention in a public space by a private citizen. I contacted the Public Works Department of the City of Helsinki, which is responsible of cleaning the tags, graffiti, etc, from public spaces. I got a permission to freely use their vast digital images archive of the tags photographed before their erasure. The only condition was that I had to swear not to bring fame to the graffiti artists. I also left the Public Works Department wearing a cap with their slogan ‘ Stop Töhryille!’ written on it. The resulting art piece is public work Zero Information (2005), consisting of 2 images produced for illuminated rolling boards. The first image is a combination of approx. 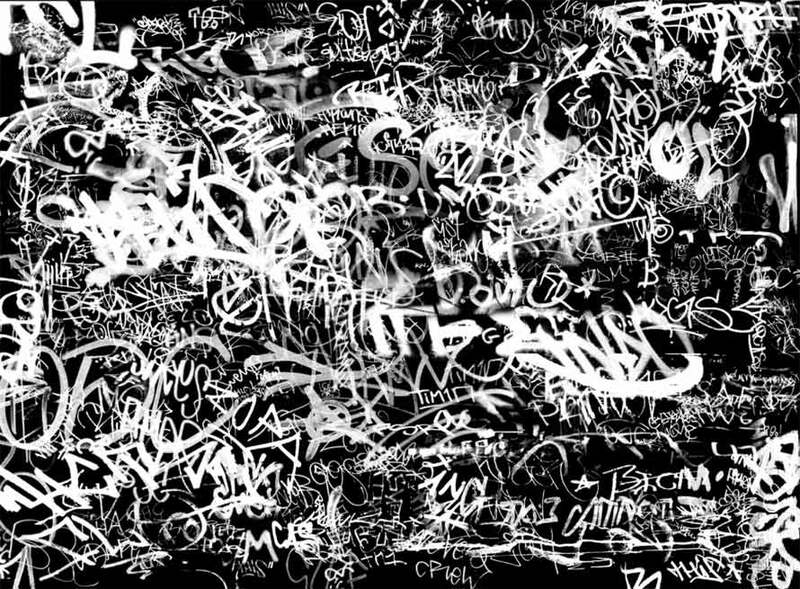 400 graffitis and tags joint into a single black-and-white image. 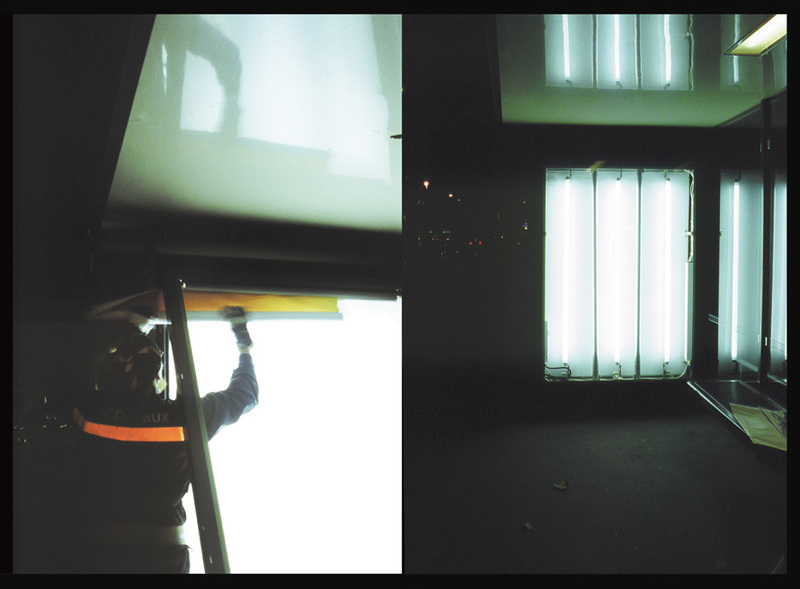 The second is a documentation of the act of changing a billboard advertisement. For a few moments the empty stand is shining with a bright white light. 2 illuminated rolling boards for public art project “EUROPART” in Vienna. 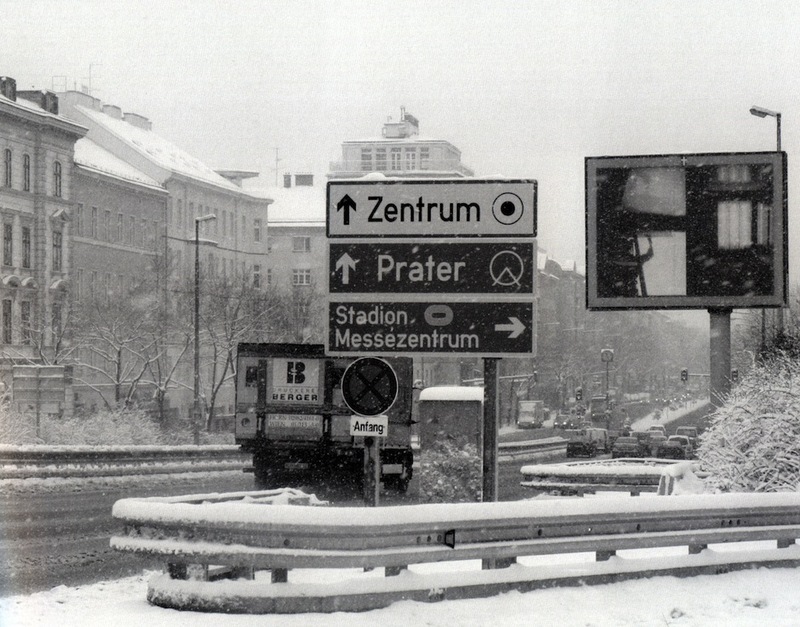 ‘Zero Information’ Documentation on site in Vienna. January 2006. ‘Zero information’ 2005. Billboads in public space.